Depending on your purpose, you might not need a huge monitor when you set up a secondary monitor for additional display area. Mimo Monitor’s latest 7″ mini-monitor, iMo Pivot Touch, can be worthwhile to look at if you are looking for a mini monitor with touch-screen capabilities at an affordable price range. For just a mere $199.99, a considerably economical price amongst touchscreen monitors in the industry, users can get this tiny and mini touchsceen monitor which features a 7″LCD screen home. iMo Pivot Touch touchscreen mini monitor boasts 800×480 display resolution, 350 cd/m2 brightness and 400:1 contrast ratio. It is connectable via a single USB cable for both connectivity and power. In other words, users do not need additional cables for power supply. 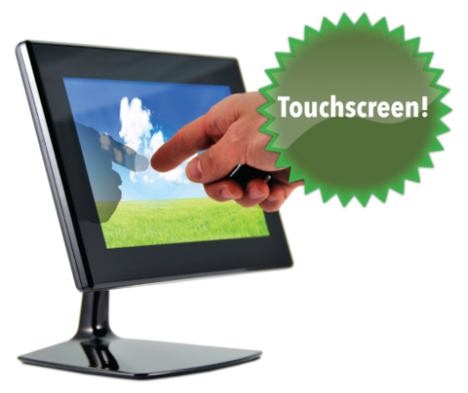 iMo Pivot Touch’s touchscreen capabilities are compatible for both Mac and Windows. Users can conveniently remove the mini monitor from the stand if they want to. Featuring a fully pivoting ball-and-joint, the mini iMo Pivot Touch monitor is fully detachable and it can be operated in stand-alone mode. With the 7-inch monitor size, iMo Pivot Touch has an ideal size for users to de-clutter their crowded and packed primary desktop monitor for some less priority activities.